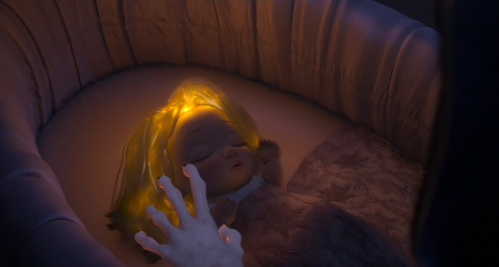 What is the last line that Mother Gothel pronounces before cutting Rapunzel's hair at the beginning of the film? Bring back was once... Oh! Heal what has been... Oh! Disney's Tangled Soundtrack TRACK 7 "I See the Light"